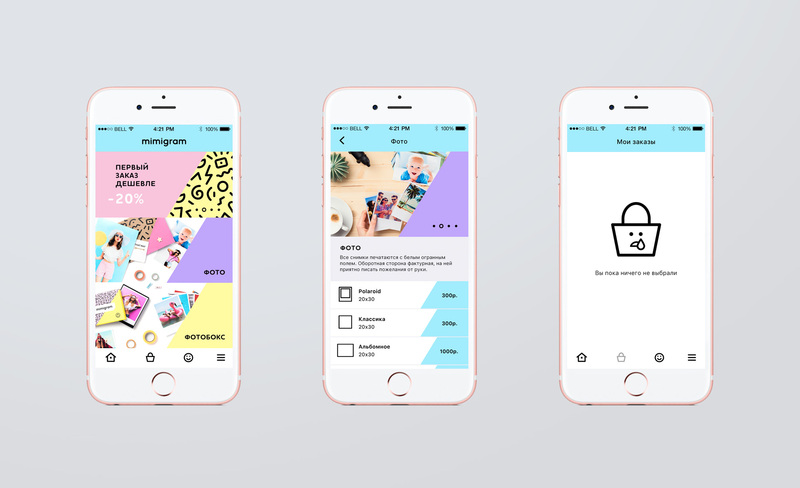 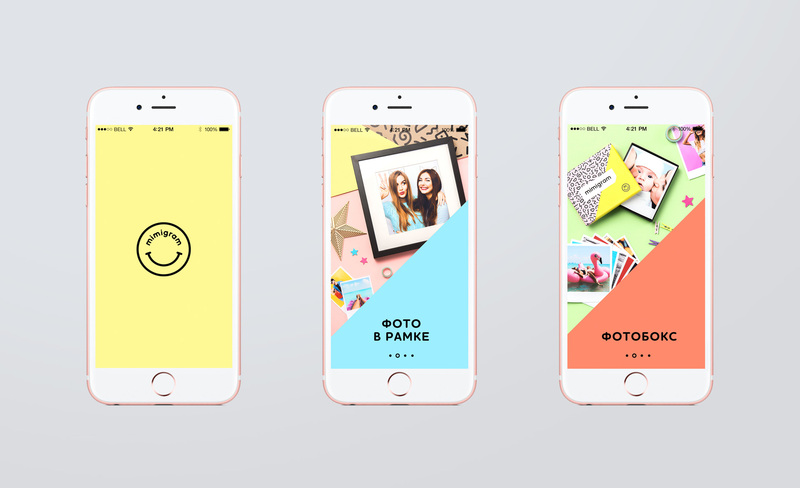 Logo, package design and design for mobile printing app from Russia, where everyone can turn their best moments into awesome products, such as photos, photo albums, photo collages etc., and receive their purchase in a modern package. 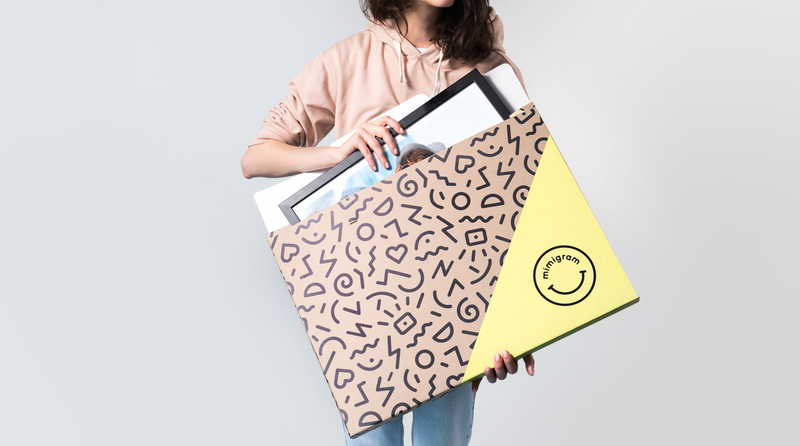 Millennial women count as prime target audience, hence we chose fun and modern Memphis style. 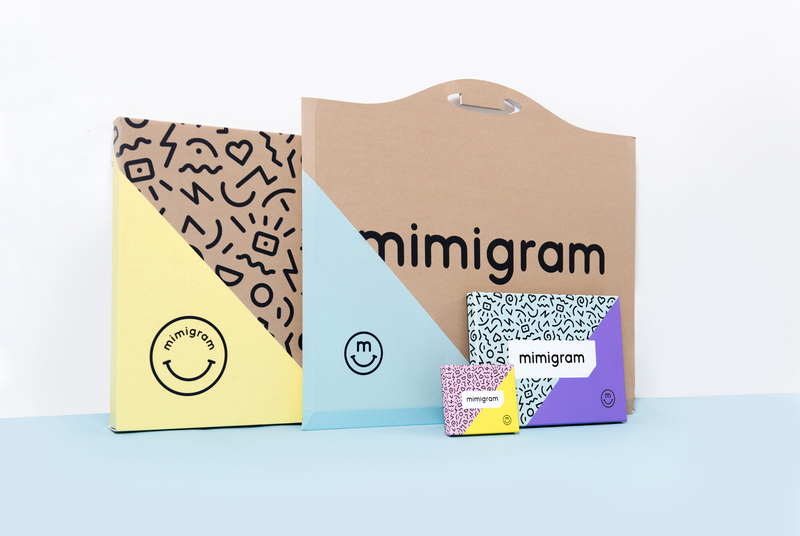 The main goal was to make good package design while keeping production costs low. 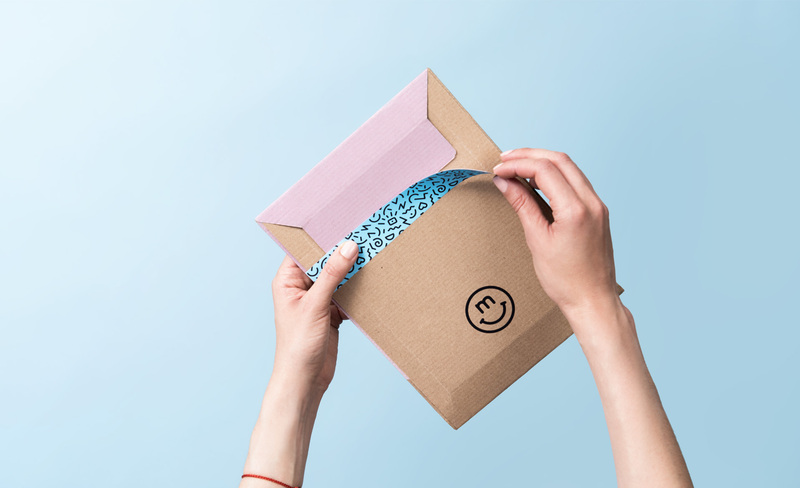 To achieve that we applied main design theme to generic mailing boxes and envelopes. 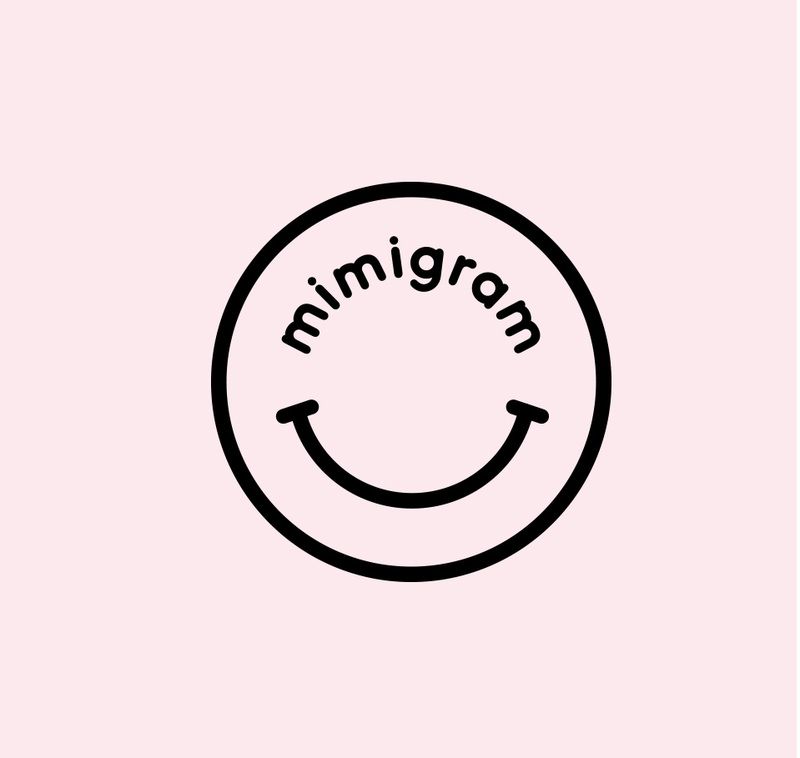 Logo has two versions. 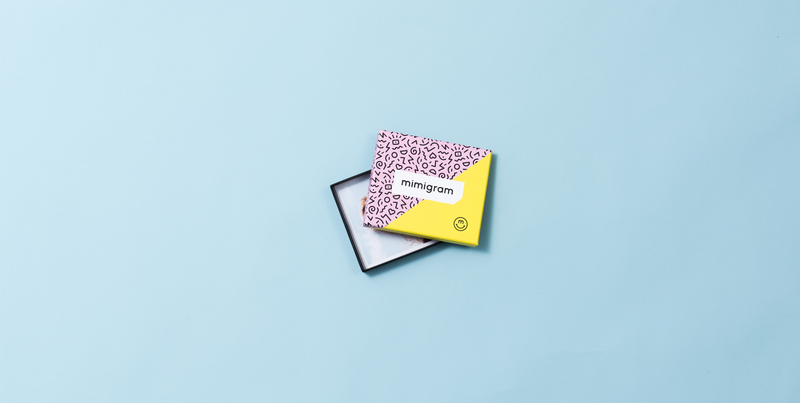 The main version contains typography within a frame of which one of the corners is removed, and the triangle motif evokes associations with photo albums corners that are used to hold photographs. 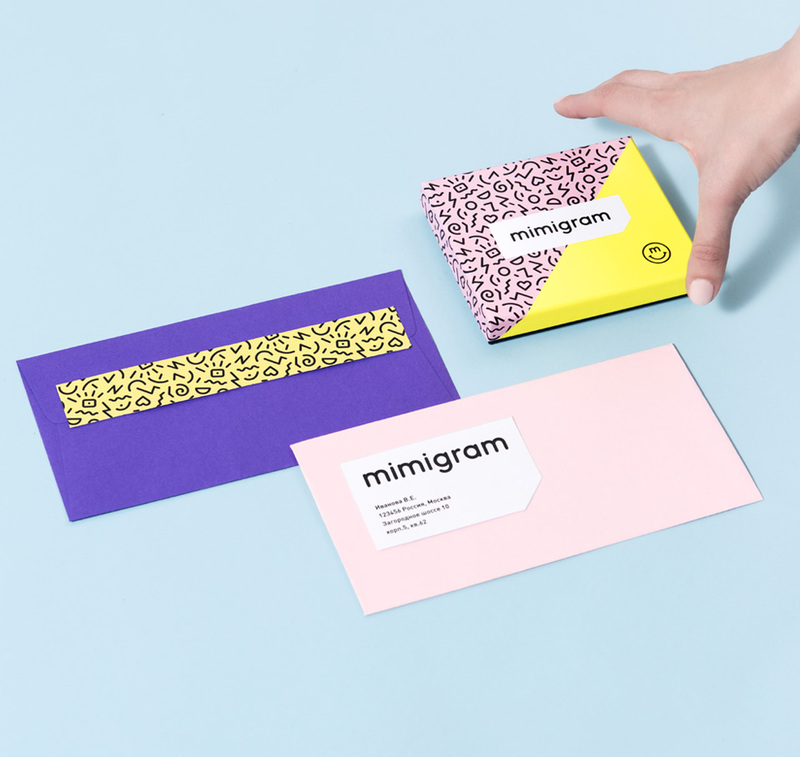 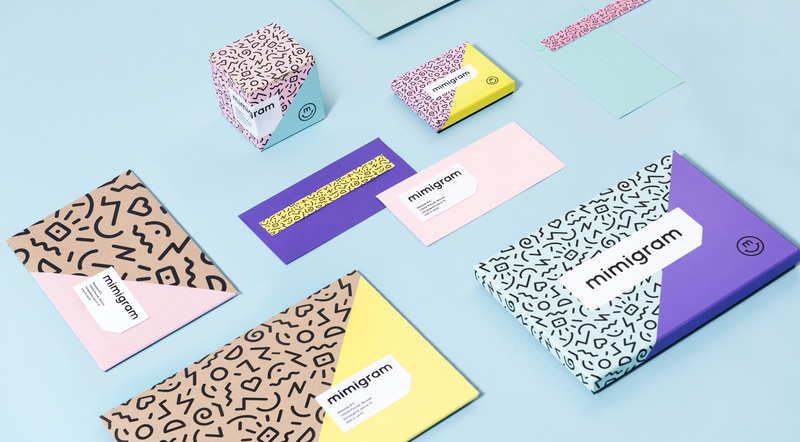 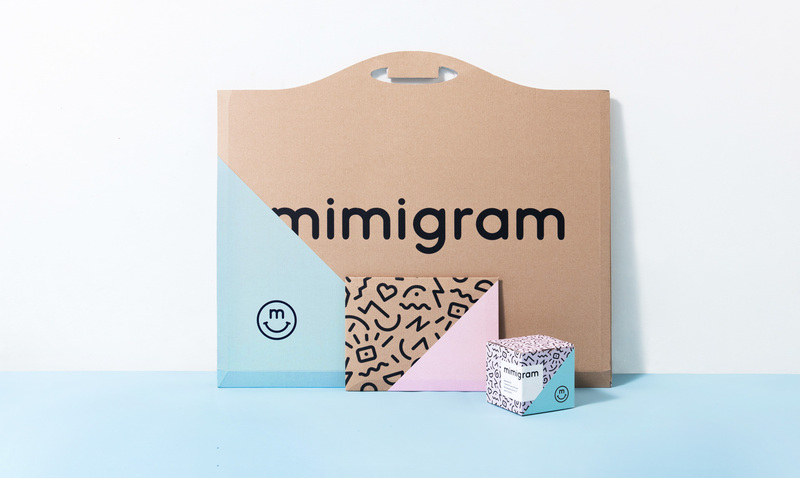 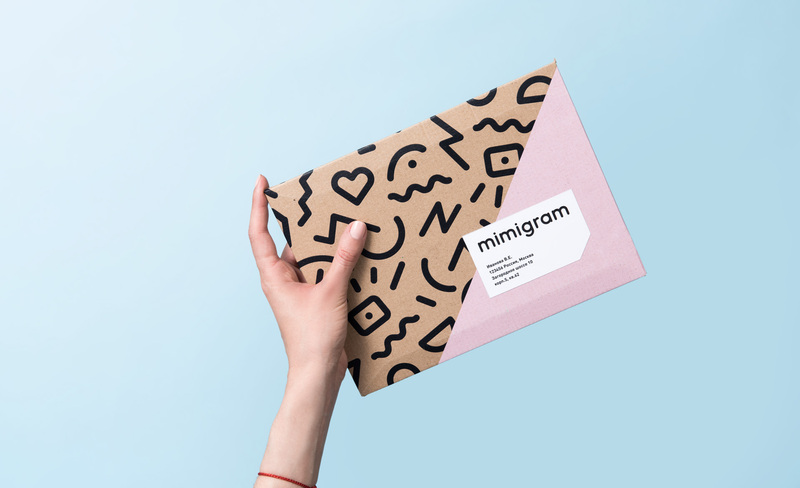 To make branding funny and memorable, we created Minigram's own smiley face that's added to the designs.